A perfect gift for Birthdays, Christmas or any special occasion. Vouchers can be arranged for specific treatments or a monetary amount. If purchasing for a regular client records will show their favoured treatments and preferences, with staff on hand to advise you can’t possibly go wrong! Alternatively, clients may substitute treatments or purchase retail products to the value of the treatment specified if they wish to do so. Preparation of the vouchers takes several minutes, phoning prior to collection will ensure a prompt service. 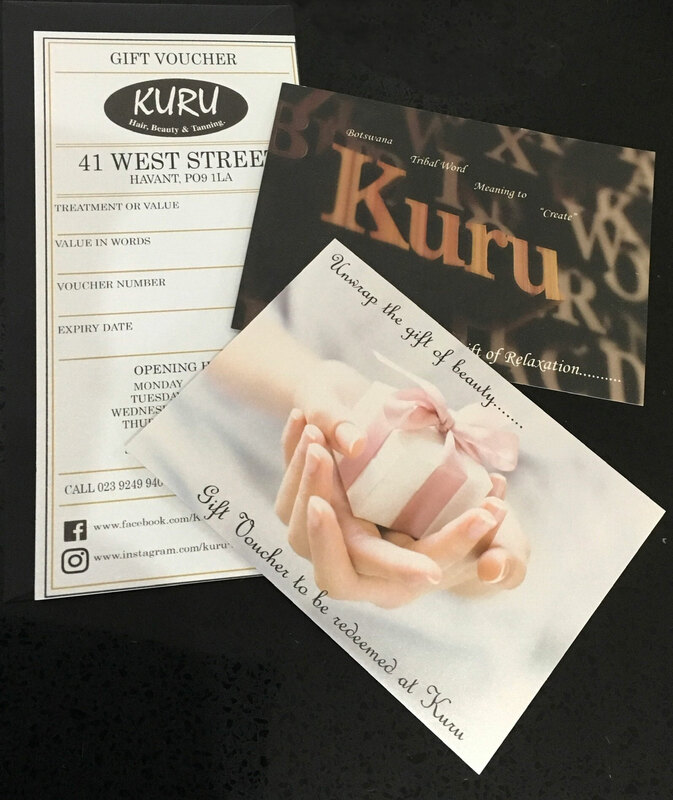 ALL GIFT VOUCHERS ISSUED BY KURU CARRY A THREE MONTH EXPIRY DATE.